MOBI Medical Equipment Manufacturing Roller Mortuary Storage systems are built exclusively for the Healthcare, Crematory, Mortuary and Funeral home industries. We build to order each and every rack system to spec and offer full customization in rack sizes. To discuss a custom rack, simply call our toll free number at 1-800-577-4851. 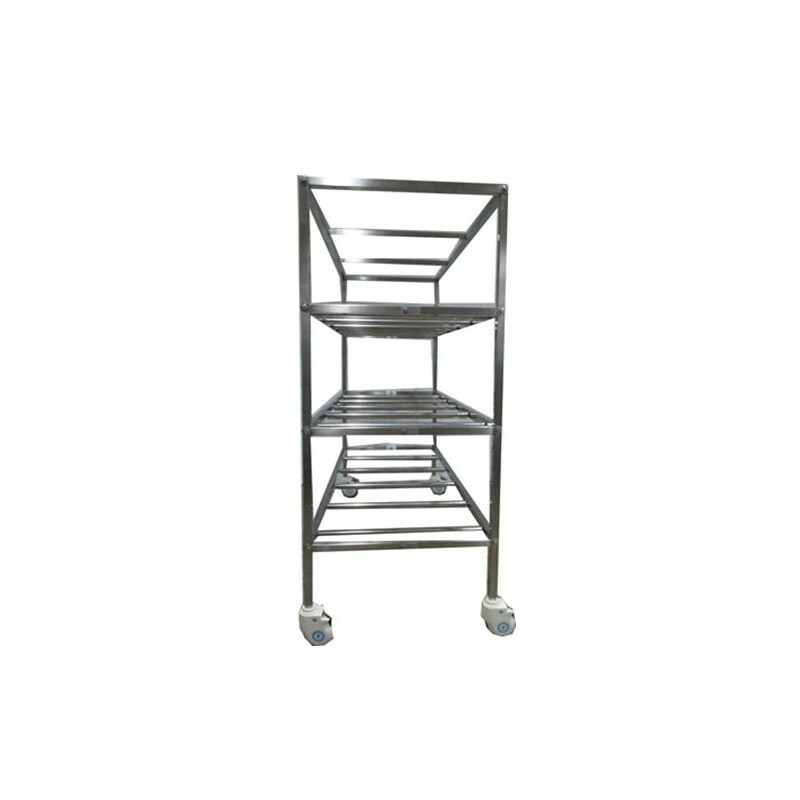 Standard 1st Tier Height: 21"
Vertical Space Between Each Tier: 16.25"
This roller rack is built with an industrial grade stainless steel that is capable of heavy loads. We use only the best in materials, such as our 1.9" gravity-free roller bars and heavy duty, high impact castors with locking brake. One can easily maneuver the rack and lock in place. The end loading roller rack can easily be transferred or setup in difficult areas within a crematory or other building structures with our Knock Down / Break Apart option model.